Korumburra is a town in the Australian state of Victoria. It is located on the South Gippsland Highway, 120 kilometres (75 mi) south-east of Melbourne, in the South Gippsland Shire local government area. Surrounded by rolling green hills, the town is 227 metres (745 ft) above the sea level of coastal Inverloch, about 28 km (17 mi) away. At the 2006 census, Korumburra had a population of 4465. 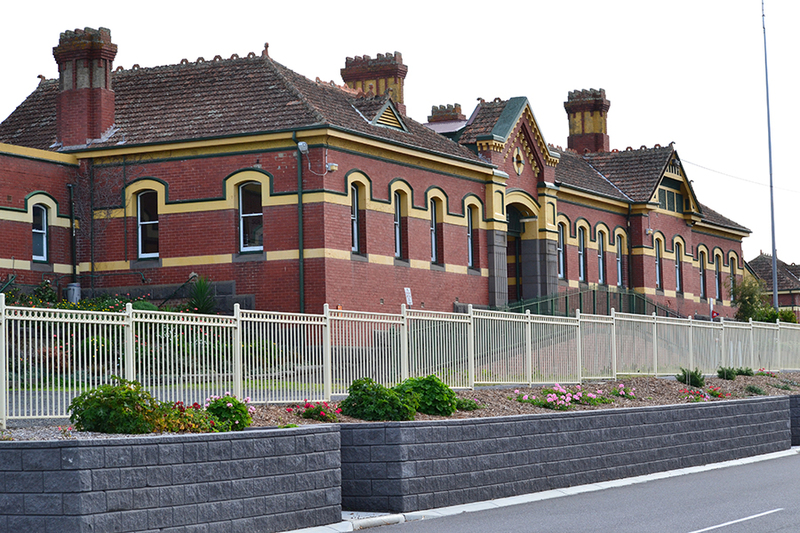 The Post Office in the area opened on 1 September 1884, and moved to the township on the railway survey line on 1 November 1889, the existing office being renamed Glentress. The railway arrived in 1891. The town has also enjoyed a wave of migration of European migrants who have added to the town's growth and culture. Antonio Radovick "Father of Korumburra" was the most successful Croatian pioneer in Victoria who contributed to the start and growth of the town in the 1890s and 1900s. There is a street bearing the name Radovick near the middle hotel. One of the old Korumburra Shire Council shire presidents was Italian migrant Vincenzo Fava  which shows the contribution of Italians in Korumburra. Korumburra is known as the "Heritage Centre of South Gippsland". It is the home of Coal Creek Community Park and Museum. This village depicts life in the area over the period from the 1870s to 1920s, as the town rapidly expanded following the discovery of a coal seam. The outdoor museum covers 30 acres (120,000 m2) of bushland, including 60 exhibits. These include the Giant Earthworm, National Bank, Anzac exhibit, Mining exhibits, Dairy exhibit at the Boston Carriageworks and Railway Museum. The Park is free entry and open Thursdays to Mondays during termtime and seven days a week during school holidays. A tramway runs on weekends around the lower end of the park encompassing an old-time farm and bush oval. Many local organisations use the Park and environs and special events are held during the year. Other town attractions include the Olympic pool (open November–March), two-court basketball stadium, art gallery, the South Gippsland tourist railway. The town's main industries include dairy and beef.The region is home to the world's largest earthworms. The town is also home to Burra Foods, which is a dairy company. The town has a soccer team, the Korumburra City Soccer Club, competing in the South Gippsland Soccer League as well as an affiliation to the Spence Pro Soccer Academy. The town is now being developed with large areas of former farm land being developed for new residential estates, which within the next ten years will expand the size and population of the township by 75 to 100 percent. In DC Comics, Korumburra, spelled Kurrumburra, is the home town of The Flash's notorious nemesis, Captain Boomerang.